Have you ever dreamed publishing your samples as a VST and Audio Unit virtual instrument? 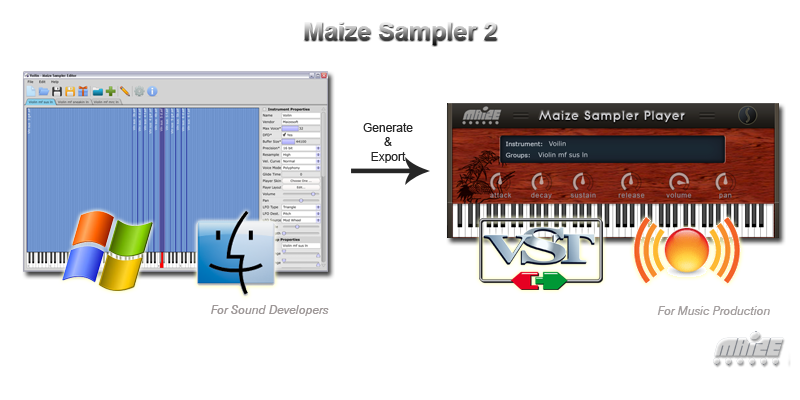 With Maize Sampler 2, this is easy and affordable. In minutes, your instruments will be ready to be used by musicians all over the world. Standalone Windows and Mac OS X editor application (32 and 64bit). Group selections by key / controller / MIDI channel. Disk-streaming / Memory reading mode. Poly / Mono / Legato voice mode with glide time. LFO, ADSR envelope and built-in reverb effect. Round-robin / Random overlapped sample trigger. Sample loop, Choke cluster, Release trigger. Big sample mapping area and sample table view. 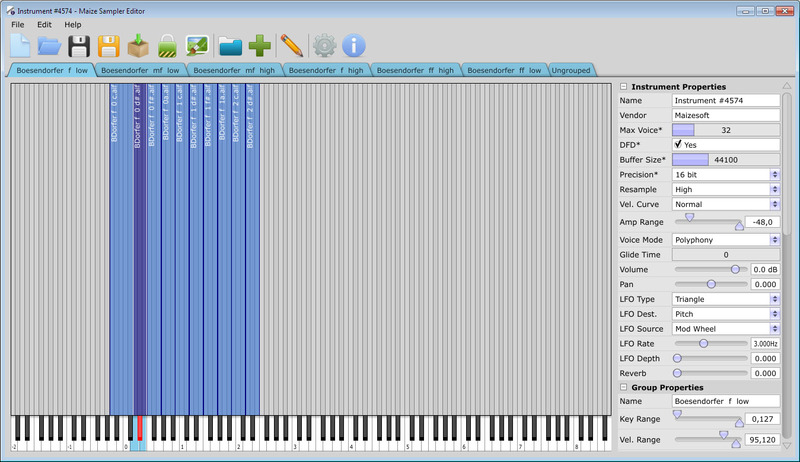 Export .mse compact instrument file. 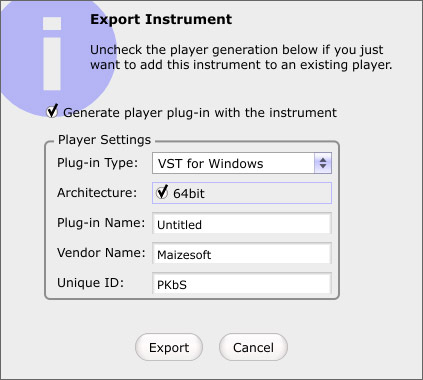 VST and Audio Unit player plug-in generation (32 and 64bit). Custom knobs, faders, meters and buttons on player UI. Serial number copy protection on exported instruments. Unregistered version cannot create more than two groups. Player name and vendor string are limited as “MySound” and “Maizesoft”. Message box will be shown when adding samples into editor. The instrument exported by unregistered version should not be used for commercial purpose.